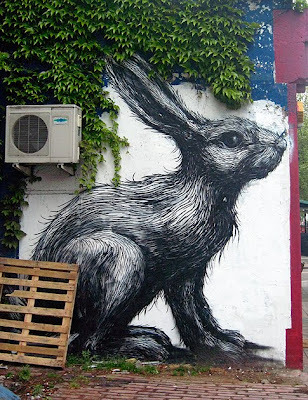 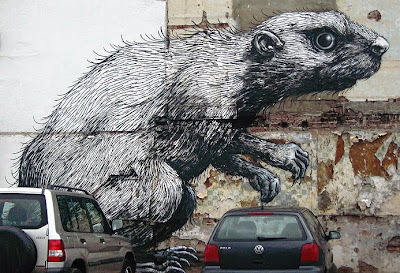 Hackney Road is infested by giant and fabulous furry creatures, painted by street artist Roa. Some really impressive art adorns the dilapidated walls of this down-trodden urban gallery! 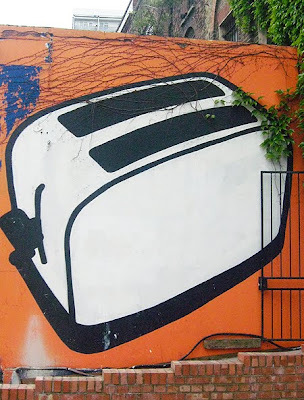 and another toaster brightens up the street too!